"Room clean worth the money.staff friendly n helpful." Have a question for Hotel Hung Hung? 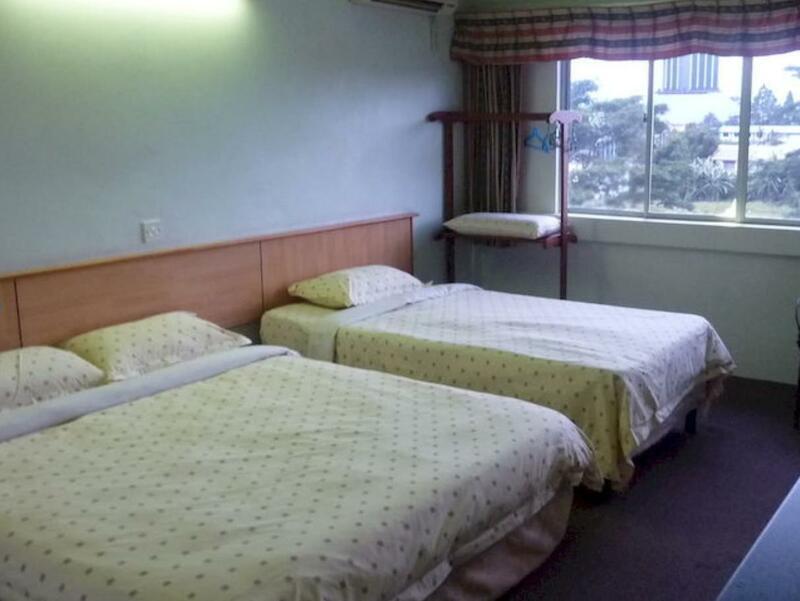 "If you need accommodation near SGH then this is a convenient and cheap place to stay." "Good value for money with basic facilities like attached bath room with hot water, Aircon, TV , kettle, transport etc." For travelers who want to take in the sights and sounds of Kuching, Hotel Hung Hung is the perfect choice. The hotel lies from the city center and provides accessibility to important town facilities. With the city's main attractions such as Sarawak General Hospital, Atm - Bsn Hospital Umum Sarawak, Blood Bank Hospital Umum Sarawak within close reach, visitors to the hotel will just love its location. 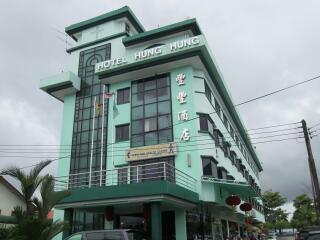 At Hotel Hung Hung, the excellent service and superior facilities make for an unforgettable stay. While lodging at this wonderful property, guests can enjoy 24-hour security, free Wi-Fi in all rooms, laundromat, taxi service, wheelchair accessible. The ambiance of Hotel Hung Hung is reflected in every guestroom. clothes rack, linens, mirror, towels, non smoking rooms are just some of the facilities that can be found throughout the property. Whether you're a fitness enthusiast or are just looking for a way to unwind after a hard day, you will be entertained by top-class recreational facilities such as garden. Discover an engaging blend of professional service and a wide array of features at Hotel Hung Hung. "Stayed one night before a early flight to KK nice hotel quie..."
Staff was helpful & convenient place for those who need an accommodation near to SGH. Everything was good except for the cleanliness. Found a dirty plastic bag in the drawer. 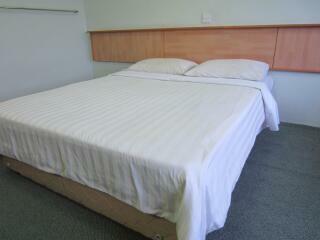 Prefect location accommodation if you need visit or take care someone at General hospital. A quick stay for my family when my sister admitted, they just feel like living nearby her (while we have house outskirt Kuching). Decent place. I have been staying in the hotel quite frequent and I have to due to its location to Sarawak General Hospital is just walking distance. What disappointed me was the cleanliness of the room (dusty and surrounded with spider webs and ants), bathroom (wall tiles stain), linen especially duvet cover stained and smell. Please do upkeep the hotel rooms despite the fact that the high demand of the rooms due to it is the nearest hotel to the hospital. Location being near to SGH is just what I needed. Good value for money with basic facilities like attached bath room with hot water, Aircon, TV , kettle, transport etc. Wish wifi can be improved, dining facilities in the evening as well. If you need accommodation near SGH then this is a convenient and cheap place to stay. We were stayed in this hotel for 2 days, we have nothing to be complain as this is a budget hotel. The hotel rate was lower if compare with other. The best pretty point for this hotel is it near to the public hospital which is hospital Umum Sarawak. It's only around 5 mins walking distance to reach the hospital. And another point is there is a lot of choices for eating in this area as quite many restaurant are located nearby or downstairs of the hotel. beside of that, there is nothing at all. We have to take taxi and pay the high transportation fees to get to other shopping area. TV was not functioning through out the stay. Technician did come but not able to solve the problem. They just shut off the TV. this is the worst hotel i have ever stayed in my life. i would prefer to stay in my car if i have known this poor hotel in advance. no drinking water, no coffee / tea bags provided, no remote control device for TV. anyway, i am very disappointed about this hotel in my trip to kuching. This is a hotel fits the criteria of a budget hotel. Stay was kind of ok for a night. Staff don't help bring things such as iron to the room. You got to take it from the reception yourself and one staff even warned me that they will start charging hourly if I don't return the iron in an hour.It's noisy in the morning as rooms lack proper sound insulation (even the windows are dodgy). There is a main road next to the hotel. Equipment in the room are mostly functional but they look like that they were there since the 1980's. I had an itchy back when I woke up from bed in the morning (wore a shirt before sleeping but it was still itchy). No public transport in the vicinity except for taxis. They were food stalls at the ground floor and they only operate in the morning. Bought my breakfast there. I asked the staff in the motel but they said restaurants/ food shops are too far and walking will take a long time. There is a hospital cafe next to the hotel but food quality is poor. Its ok for a one night stay if one can bear a few hiccups. Wont recommend a longer stay. Close to SGH, goodwifi n room with big windows. Arrived on sun ard 4pm but room still not ready. Found out besides SGH's canteen, I can't find food or even small store nearby this place. Have to take taxi to get food or buy stuff. It was terrible. The room is not clean with some cheap perfume smell. All the bed sheets n towels . Won't recommend this place n will not visit again. Should have more amenities like fridge in room and maybe some options for room service as restaurant next door is closed in evening and those with no transportation have difficulty finding dinner. Need to provide laundry or at least a decent iron and ironing board. It is very near to sarawak general hospital and there is a foodcourt at ground floor.